Hypertrophic cardiomyopathy (HCM) is a genetic disorder with a prevalence of 1 in 500 of the general population. HCM is inherited as an autosomal dominant trait caused by mutations in cardiac sarcomere proteins. The disease is defined by left ventricular hypertrophy (LVH) in the absence of hypertension or obstructive valve disease. 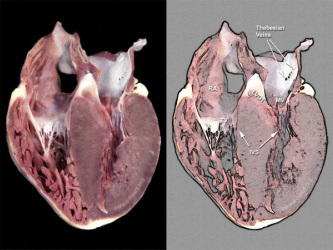 It is often associated with left ventricular outflow tract obstruction (LVOTO) caused by the systolic anterior movement of the mitral valve. Sudden cardiac death (SCD), heart failure, and thromboembolism are the main causes of death. Early studies of small HCM cohorts from tertiary referral centres reported cardiovascular, mortality rates of ∼6%/year, but later less selected studies demonstrated a more favourable clinical course with an overall cardiovascular mortality of ∼2%/year.